Like clockwork, the moment it gets cold outside my hair becomes a total static ball. It's annoying, and uncomfortable. I never know how to successfully tame static in a pinch, though a spritz of my Nuxe Huile Prodigieuse spread throughout my ends usually works. 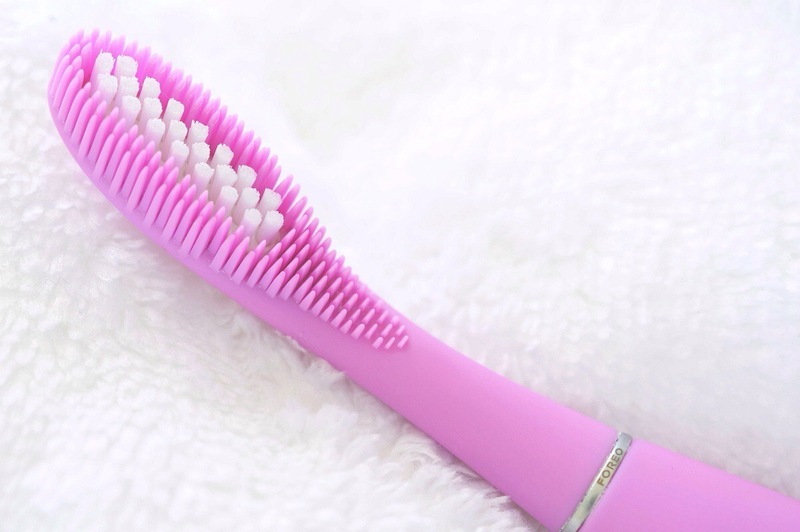 This was all before I met the Inifiniti Pro by Conair - The Ultimate Brush. This thing is magic. We're almost there folks! One more week until the holidays. I can't wait for all of the big family meals, gift exchange and time off to refresh and reorganize life for a new year. If you're working on stocking fillers or finishing off presents and need some ideas, here are 10 great finds for anyone on your list. I feel like a real adult when I wake up, shake off the sleep, shower quick and rock the #greasyhairdontcare look out the door. 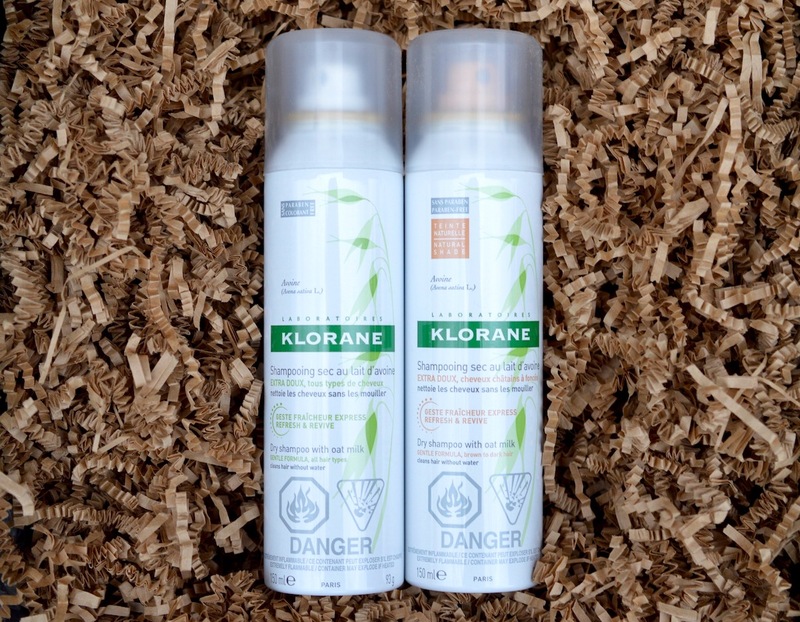 Even though I rarely go past 2 days now between a wash, I'm using Klorane's dry shampoo a lot to amp up the freshness and add some (much needed) volume throughout the day. I’ll be honest, my Christmas gifts are fully wrapped and ready to go under the family tree. Collecting special things throughout the year to keep for Christmas is my favourite pastime. I’m never shopping at the last minute, especially since I am a *semi-professional* deal hunter. These gifts will give you a great bang for your buck and are sure to leave your gals super happy. Why is Christmas shopping for men pretty much impossible? I always start thinking about what my guy needs in August/September. Hear me out. Shopping in the summer is way more fun, and there are tons of great sales when the seasons change. Even if you aren't as excited about gifts as I am, you still have a ton of time to find the perfect *useful* gift before the holidays. Today, I have 5 things to show you that Joseph loves - and they definitely won't dissappoint! Well, Winter is here folks. It has officially reached freezing temperatures in Toronto... and I hate it. But have no fear! There are ways to stay warm when the mercury plummets. 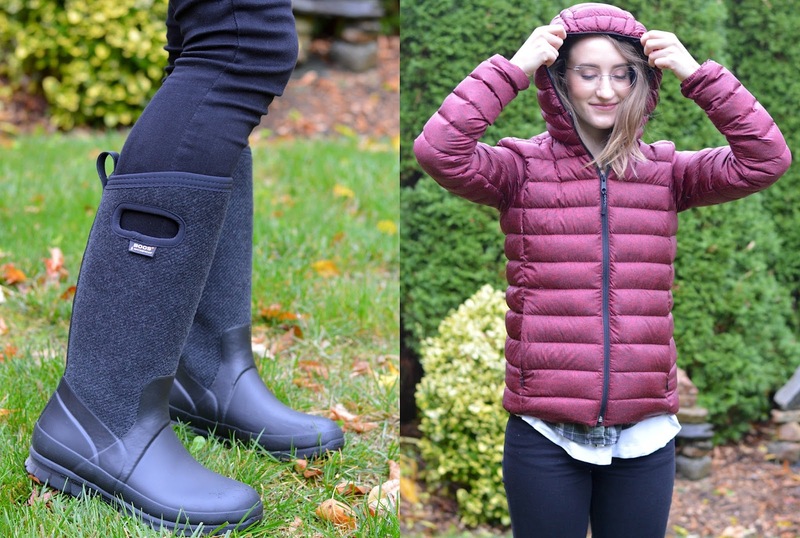 Today I'm sharing my love for Bogs' Crandall Tall Wool boots and Roots' Zip Down Packable Jacket, both functional and fabulous investments for your winter wardrobe. I love using a hair straightener for my quick 'dos on the weekend, or to flatten out slept-in waves before work. When I don't have time to use my CurlBar, I'll heat up my hair straightener to throw some quick, bouncy waves. I've been using my PYT straightener for two years now, and it's still in great condition. After seeing ISA Professional on Instagram, I was so drawn to the sleek, thin style of their Digital Titanium Flat Iron Hair Straightener so I was happy to try it out for you in the video below. I adore shopping at Simons. This Canadian department store carries it's own fashion collections like TWIK, which I have loved for years. 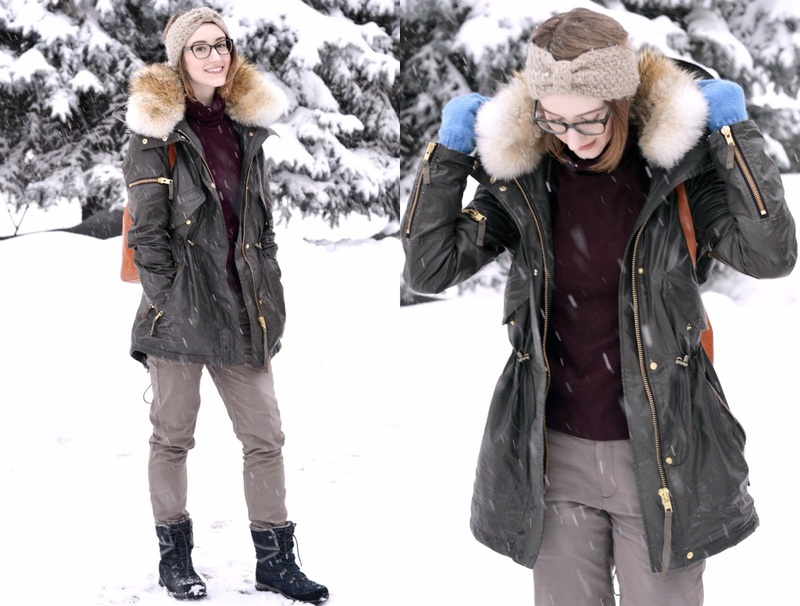 ChickAdvisor recently ran a campaign featuring some of TWIK's most on-trend pieces, and I fully freaked out when I was accepted into the campaign. I ordered the Mega bow skirt, Faux-leather legging, Finely-ribbed turtleneck, Double diamond hair clips, and 2 Classic combs. Halloween has almost passed, but that doesn't mean your fun with makeup has to end here. This year I did a fun sugar skull look using the brand new Anastasia Prism palette ($55). Happy Monday! Today I'm usually posting all about fingers, but this post is about toes. I love giving myself a pedicure at home, because I'm a total perfectionist and I like to keep my feet in good condition for sandal weather. Farleyco Beauty is the hub for a whole host of fantastic brands: EcoTools, Real Techniques, 7th Heaven, Flexitol, Zoella, and more. Today I'm sharing their end of summer Pedicure Kit that has been motivating me to keep my feet and skin in tip-top condition. I love shopping online. The moment I got my first credit card (I now have three) I placed an order online at American Eagle, and I still wear the jeans and sweater 5 years later. 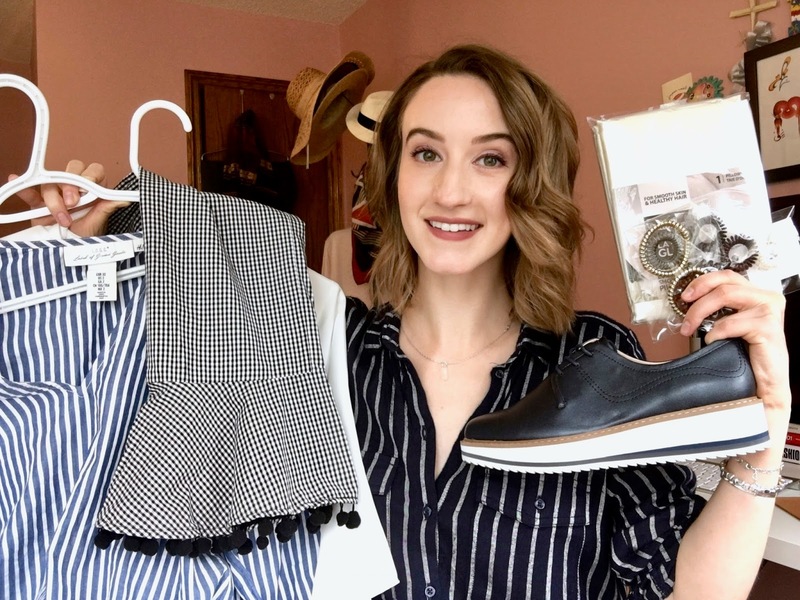 Whenever I have free time - during lunch, on my commute, before bed, I'll scroll through my favourite online shops and pin items to my "Shopping List" on Pinterest, or save them to my Shoptagr so I get an alert if the price drops or if the item comes back in stock in my size. 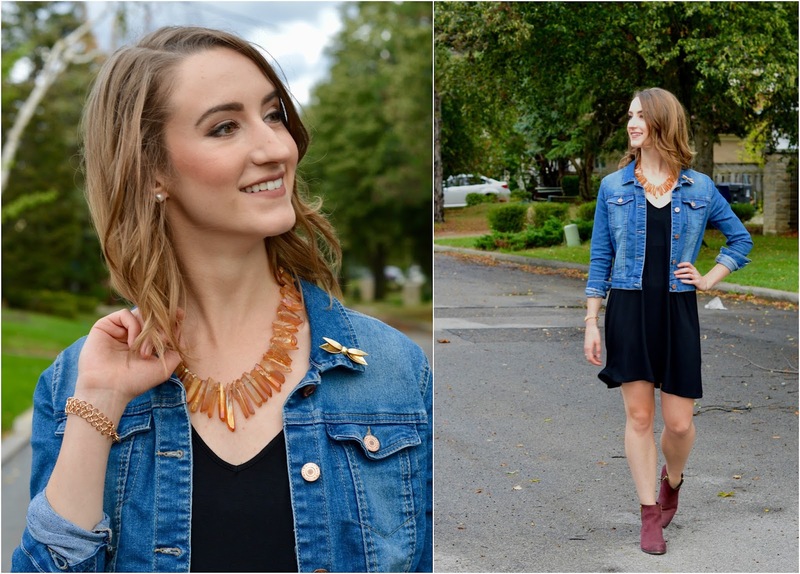 I teamed up with Tobi for this post to style a few items from their site. Tobi offers free shipping, easy returns, and provides detailed photos to help you confidently fill up your shopping cart. I often have trouble finding comfortable pants and skirts, so I was nervous picking out a jumpsuit and form-fitting dress. Fortunately, the pieces are made to fit and I'm really happy with all three. The quality of fabric is awesome, nothing was overly wrinkled and they iron out well. Today is World Sight Day. An annual day of awareness to focus global attention on blindness, visual impairment and rehabilitation of the visually impaired. In the world today, 1 in 3 children suffer from uncorrected poor vision. 1 in 5 drivers can't see the road clearly. 3 in 4 people suffer from tired eyes. 1 in 3 people can't see the world clearly. I love a good watch. It all started when I bought Joseph his first Swatch back in 2013, then a Skagen, now we've achieved Daniel Wellington status. 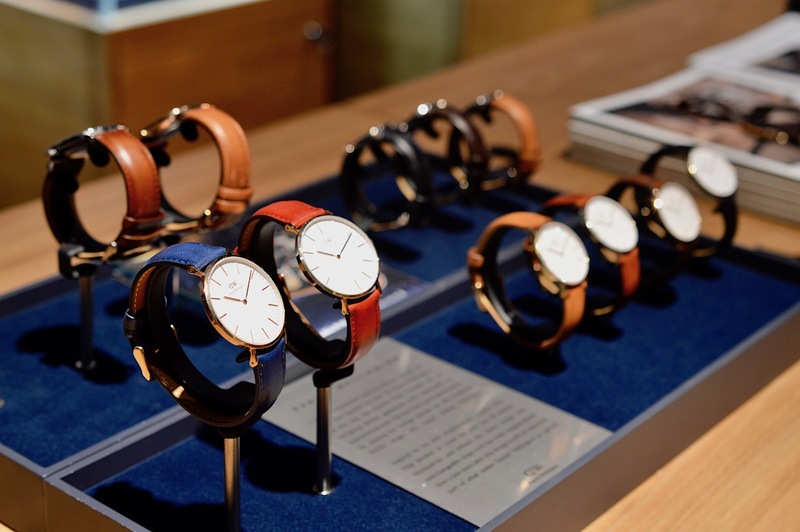 All hail the Classic Oxford, one of the coolest watches that any guy or girl could rock day to night. My Sunday evening mani routine is something I look forward to every week. Self-care is therapeutic, and my weak nails are far more resilient with a good coat of OPI Nail Envy Matte and some pretty colour. Over the past few weeks I've indulged in Essie's new Gel Couture collection thanks to my lovely friends at NailPolishCanada.com. The quality of this line is blowing me away, and I've included swatches of the pretty shades below. Our warm, summery days are now numbered, and I'm bracing myself for the cool crisp air that'll surely make my combination skin get flaky and temperamental. L'OCCITANE is the brand I turn to when I need calming and hydrating products that'll last me through the fall and winter months. The backyard garden harvest is wrapping up, DIY's are being squeezed in before it's too late, and the nights are creeping up on us faster than Halloween. I'm always in the mood to reshuffle and organize when I get home from work, and weekends are still accommodating for outdoor fun in the sun. Once the day is done though, I've been turning to these products to clean up quick before bed. O-M-G. My first VoxBox from Influenster! And it's from Almay, an iconic drugstore brand that I've loved for years. 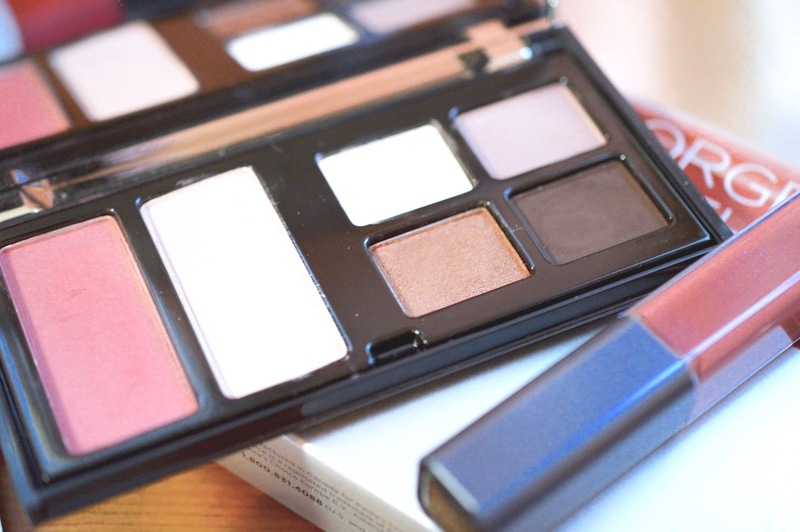 I look to their range for hypoallergenic products that will help me achieve a fresh, natural look. Though I haven't blogged about their products much, I've used Almay powder, foundation and mascara ever since high school. Though it feels like 500 degrees outside today, summer is technically over. Boo! Here are a few products I've loved this season, and ones that will surely take me into fall and winter with a smile. 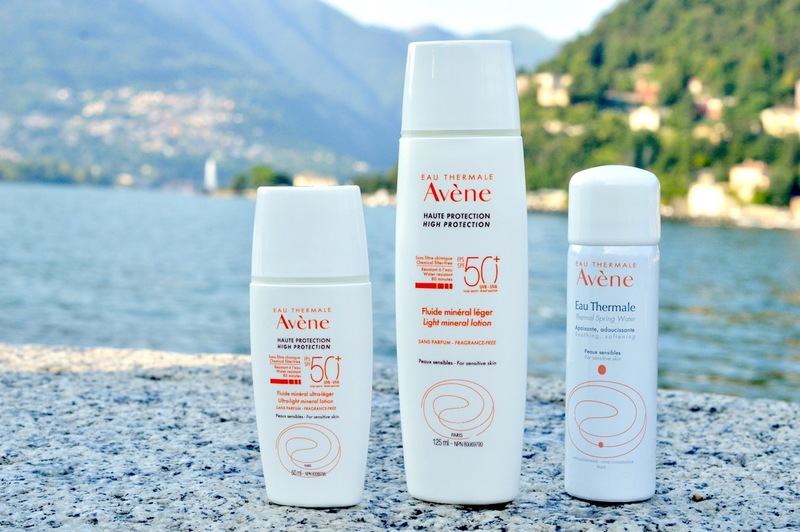 I've lusted over Avène products for years, having seen them in magazines, French pharmacies, and on the shelves of beauty editors around the world. My love for the Soothing Moisture Mask started in 2014 (read about it here) and my rave review still stands true today. A few months back I got a big box full of my favourite hair accessories: Hair Slinkys! La Vita Glam invited me to take part in a 5-Day Hair Challenge to see how long I could go without washing - all while keeping my hair looking fresh in Hair Slinkys. New mascara? I want it! As a blonde lashed gal, mascara is an integral part of my morning routine. 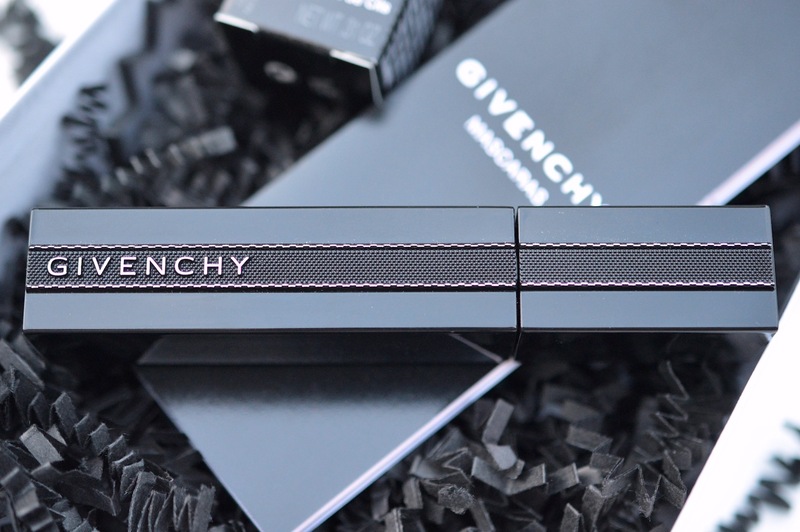 It brightens up my face and makes my eyes look awake, so I was so excited to get my hands on the funky Noir Interdit mascara from Givenchy that has an elbow-like bend to allow for more precise application. 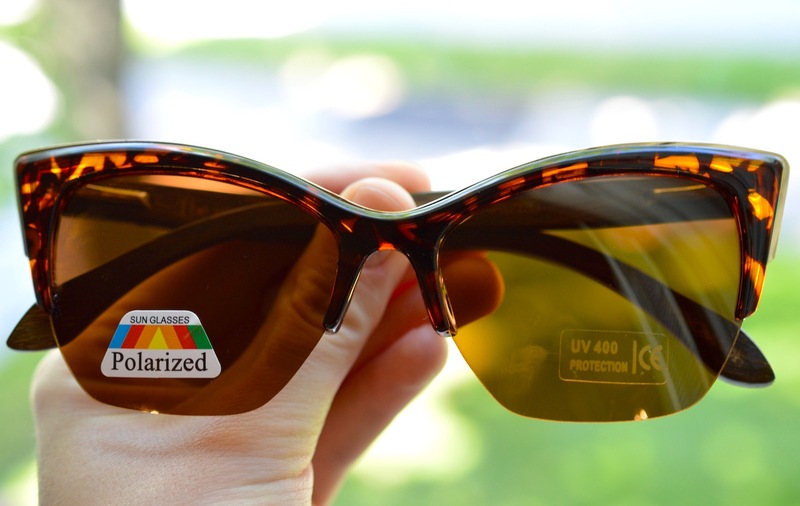 Amevie's motto is "buy a pair, give a pair" - for each pair of sunglasses that you buy, they give a pair of eyeglasses to a child in need through Seva Canada. Similar to Tom's 1-for-1 shoe donation program, Amevie is a Canadian company that cares. Their affordable line of glasses are made from high quality bamboo, with chic and unique designs. I've been living in my pair of Vegas sunnies all summer long. My hair lightening routine is no stranger to this blog, having tested John Frieda's cult classic "Go Blonder" range back in 2014, and again in February 2017. My hair is naturally dark blonde, with subtle highlights and lowlights that'll change throughout the season. 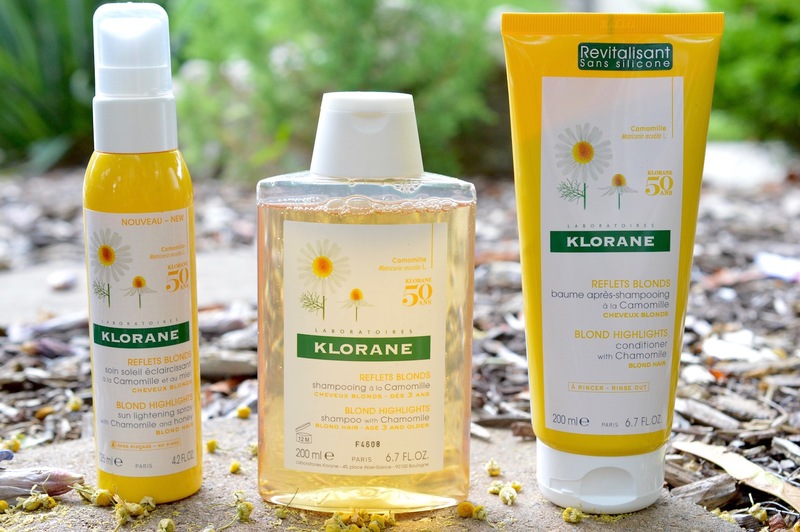 In the summer months I'm especially keen on amping up my natural blonde locks, so Klorane's Blonde Highlighting haircare routine has been a lifesaver. I keep rings on for months at a time, so it's important that I purchase ones which hold up to water, rough surfaces and general wear. 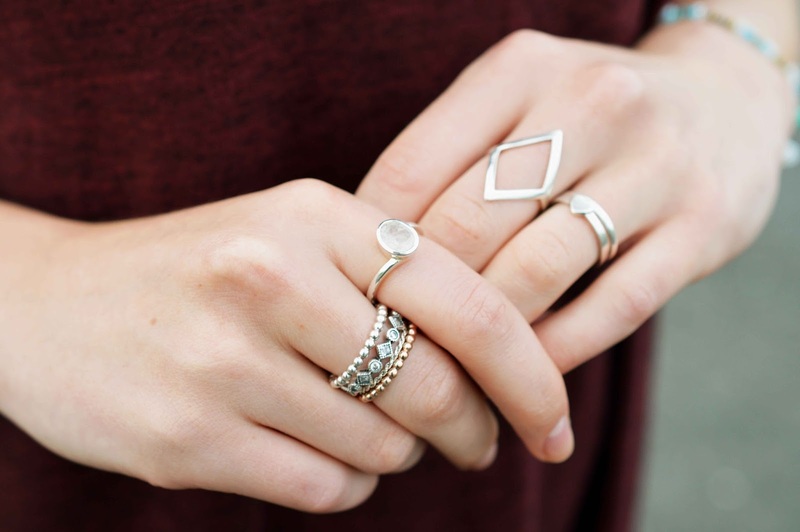 When I first saw MoonstoneShop.com on Instagram, I fell in love with their selection of affordable silver rings that are striking, and unique. As an accessories gal, I love having an array of eyeglasses to choose from in the morning. Each pair can get quite pricy, so (as you may already know) my adoration to Clearly is growing strong. They continue to release collections that keep prices low and quality high, just like with Main + Central. New lip balm? Gotta have it. 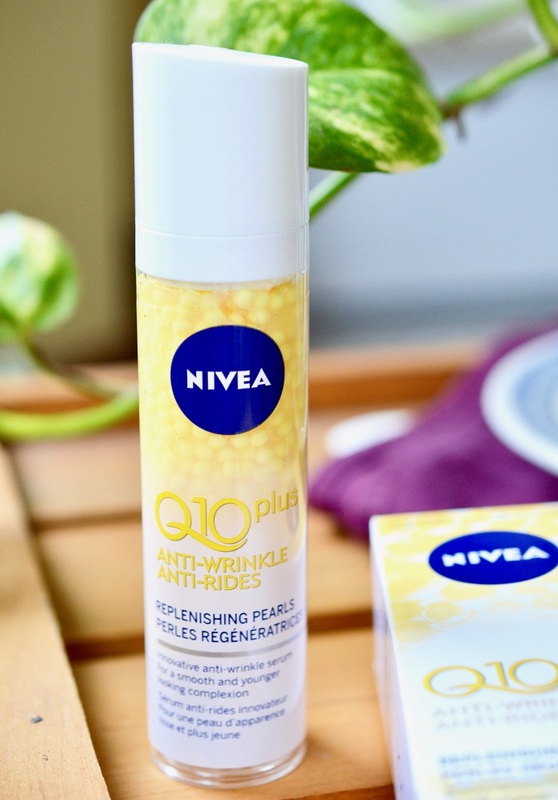 My motto is simple, and there's no other beauty product that I indulge in more than lip balm. 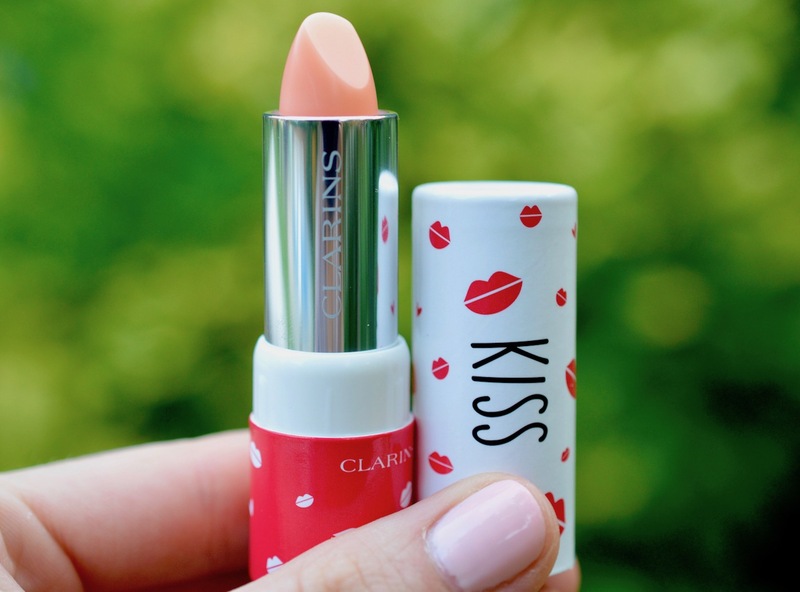 Clarins has released a limited edition duo this August, featuring the Daily Energizer Lovely Lip Balm ($18) and the Skin Illusion Blush ($22). Sometimes, all you really need is a cold cup of energy to get you through the day. I first tried Station Cold Brew at Lululemon on Queen St W. and it came out of a tap just like beer. 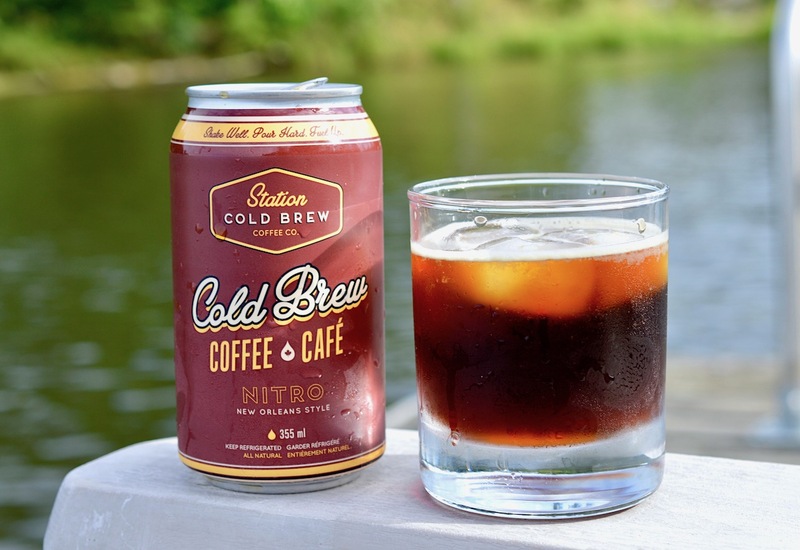 This cold brew coffee is rich, creamy, frothy and smooth - even without milk and sugar. Black coffee that doesn't make you wince? Incredible. In May of this year I visited Savannah, Georgia and Hilton Head South Carolina with my family. It was a great getaway from a busy quarter at work, and I loved the warm, comfortable weather in the south. Here are a few things I picked up while shopping in the US. As a long-time lover of drugstore makeup brands, it makes me beyond happy to have access to the fresh new releases from brands like Essence and Wet n Wild each season. Earlier in the year I stopped by two fantastic events where we got to play games, test products, enjoy delicious sweets and take home a *very* generous goodie bag filled with makeup. Groupon is famous for their dollar-saving vouchers that I've used many times for date nights, hotel stays and other fun outings in the city. Some of my favourite Groupons include 3-course dinners, Paint Nites, and show tickets, which I've talked about here and here. Now we're all aware of my love for online shopping and coupon codes, so I'm thrilled to see Groupon branching out into the world of discounts for our everyday needs. When it comes to skincare lines, I'm always willing to try new brands that promise great results. 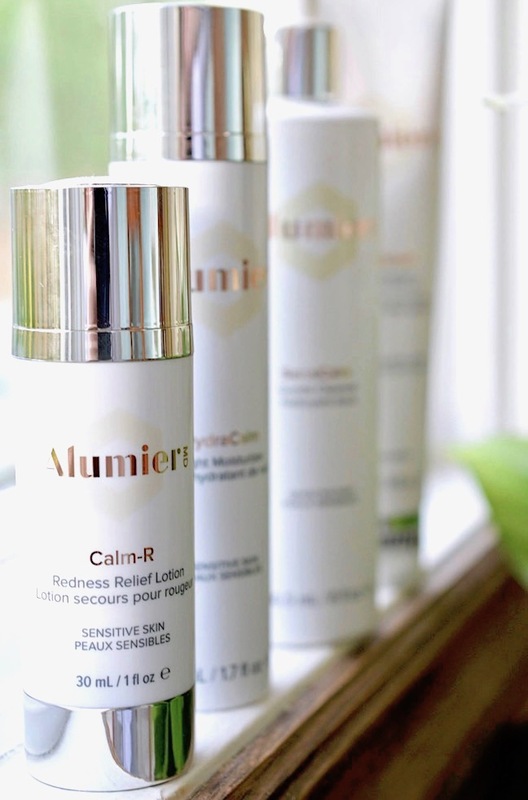 Alumier MD is luxury skincare sold online or through a registered professional, who you can get in touch with here. It's a Friday night, and you want to spend time with a group of friends. $30 can get you a few rounds at a bar, but that gets old pretty quick. Why not lock yourselves in a room filled with tricks, turns and puzzles, toss in a countdown, and try to escape? When I get a new product in the mail, there's no waiting around. I dive right in, especially when something looks as magical as my Clarins Multi-Active Yeux eye serum. I'm obsessed with this unicorn product and there's nothing I'd rather keep on my bathroom counter. It really works. 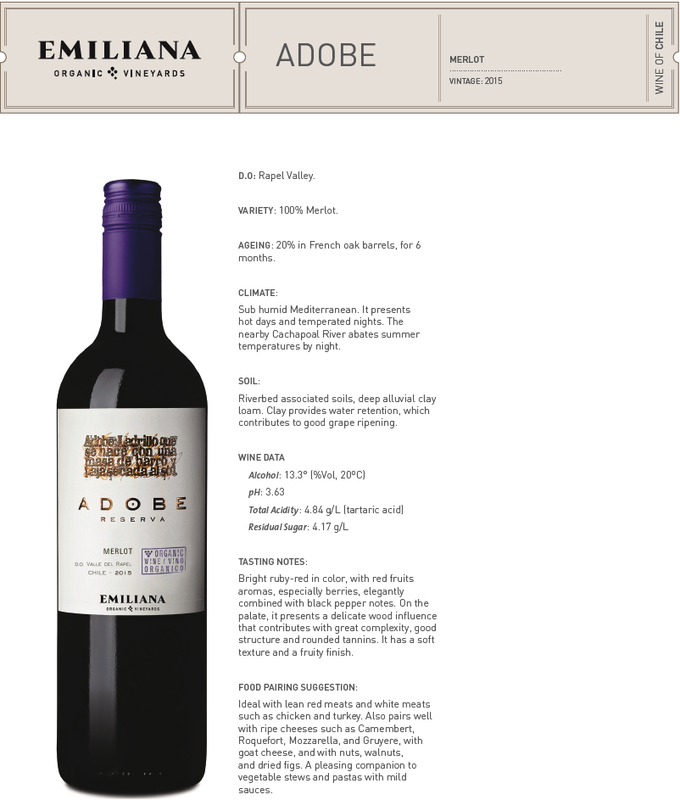 I love a good bottle of wine, and Adobe Reserva by Emiliana didn't disappoint. This delicious merlot is a mere $13.10 and has a strong, warm flavour. It pairs great with my favourite - cheese! And the fun doesn't stop once you've finished the bottle. Nothing makes me feel more put together than a fresh mani. For Canada's 150th I'm celebrating with these chic Canadian Flag nail stencils from Whats Up Nails - and you can too! I've been shopping a lot for functional items lately, hitting up a few of my classic spots, along with some new boutiques along Queen West. Though I still look to fast fashion retailers for reliable pieces that won't break the bank, I'm growing more and more fond of special items that come with a story. From the days of watching Elle and Blair Fowler on YouTube, Hot Tools has been a brand on my mind for the best curling irons and wands. I'm used to a super short bob cut, but I'm now growing out my locks and loose waves are a go-to look. In the spirit of Spring cleaning, it's time for another batch of product empties! I remember stumbling upon Farleyco much like Nail Polish Canada when trying to track down Real Techniques brushes, CoLAB dry shampoo and EcoTools in Canadian Dollars. Fast forward a few years, and I have been lucky enough to receive one of their 2017 Beauty Boxes to try out, and I'm thrilled with the selection of goodies that were included. When I tried on these dainty frames off the shelf in Clearly on Queen St, I knew I had to have them. 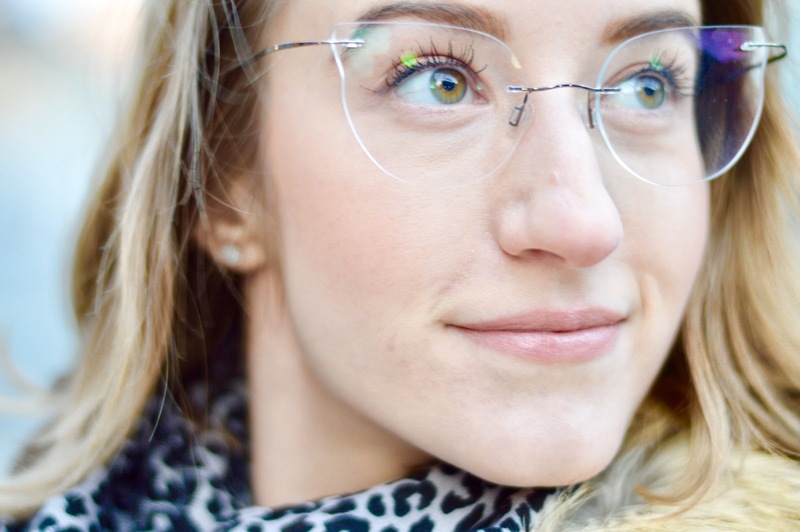 The Perspective Nimbus eyeglasses are everything I have been dreaming about, and more. Lightweight, trendy, comfortable, custom fit, and in a neutral hue - the subtle silver doesn't compete with any of my accessories. 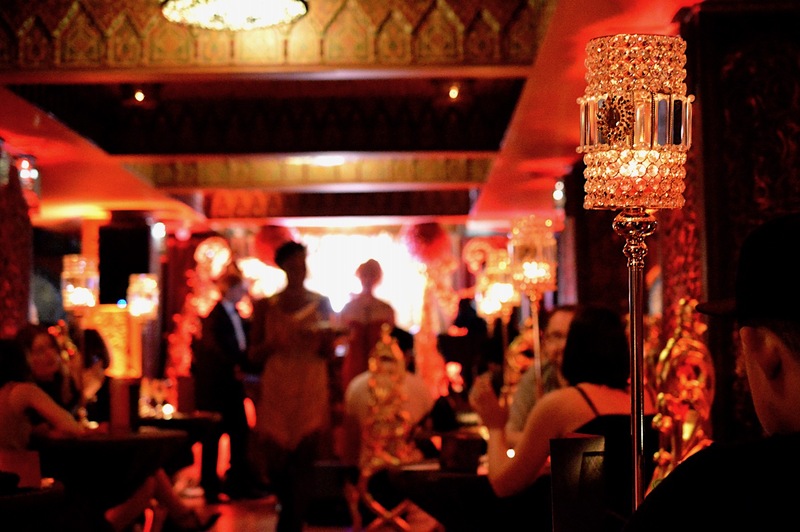 After one of the coldest spring days in recent memory, we're in need of some hyggelig warmth. For me, pierogies are the ultimate comfort food. When paired with a warm glass of mulled wine, you're guaranteed to be glued to the couch for hours. Calling all Ariels at heart: you can now become mermaids in Toronto, Montréal, Ottawa, Quebec City, Norfolk County, Kitchener-Waterloo, Phoenix and Chicago! A few weeks ago Sylvie and I spent an afternoon learning how to swim like a mermaids in downtown Toronto. AquaMermaid is a for any gal of any age who wants to host a party or hang out with a friend while learning to swim with a monofin. I've been seeing these tails swimming around on YouTube and Instagram for years, and the idea of a mermaid class sounded like so much fun. Let's dive in! I am a total freebies gal. Spend a certain amount to get a freebie? I'm in. Stand in line to get a freebie? Sign me up. Shove a bunch of coupons into my wallet to save 50 cents here and there? You bet. 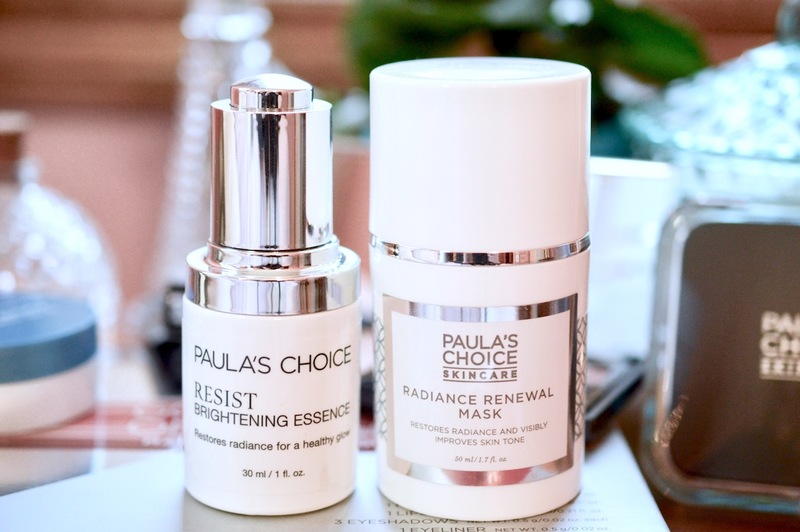 Paula's Choice products are expensive, but their discounts are amazing. I'll put off my shopping trip until a worthwhile coupon code comes along, because 20% off (plus Ebates!) 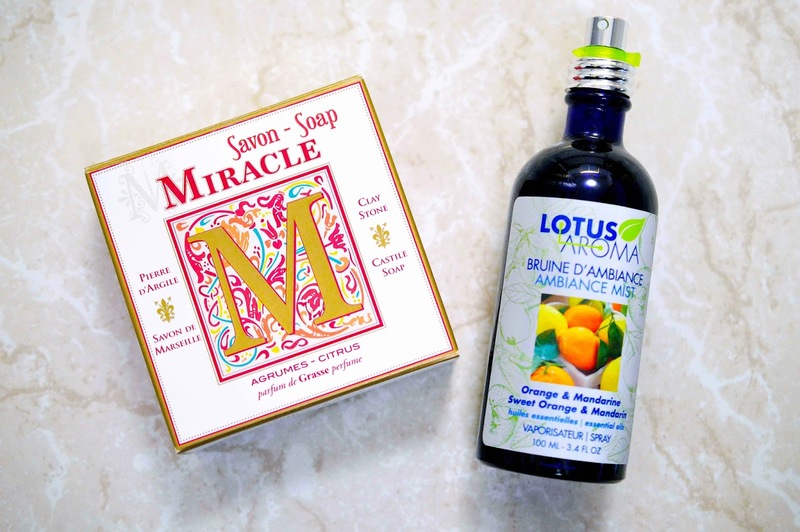 and a free gift makes stocking up on skincare so much more exciting. There isn't much that I'll buy in USD due to the wild exchange rate, but Paula's Choice (by no surprise) is one exception. When I think about how to stay warm in the winter, only one word comes to mind: fleece. I told my sister that I was entering a UNIQLO contest last week, and she goes: "why don't you wear all that fleece stuff you won't take off?" Everyone complains about dry skin in the winter. Irritated, flaky patches will pop up out of nowhere, and it's hard to keep under control. With the mix of staying hydrated through drinking water, wearing warm gloves and using gentle, conditioning products throughout the day, my skin is happy as can be. Without a doubt, L'Occitane makes one of the most praised hand creams on the planet. Their original Shea Butter Hand Cream ($32 for 150ml) now has an even more nourishing counterpart, the Shea Butter Intensive Hand Balm ($40 for 150ml) to keep your nails and knuckles extra healthy.